We offer Luxury & Standard Minibus Hire with driver for Thame, Haddenham, Long Crendon and surrounding areas. You can hire our Luxury or standard Minibus/Coach 6, 8, 12, 14, 16, 25 & 32 seater. It is full of fun things to do for your family. You can book online or call on our 24/7 booking helpline number i.e. 01296 344 111. Executive Taxis, Luxury and Standard Minibus Hire with driver 8, 12, 16, 19 & 22 Seater Covering Thame & Surrounding areas. If you are looking for an Executive Taxis or 8-22 seater Minibus Hire Thame with a driver, you are in the right place! 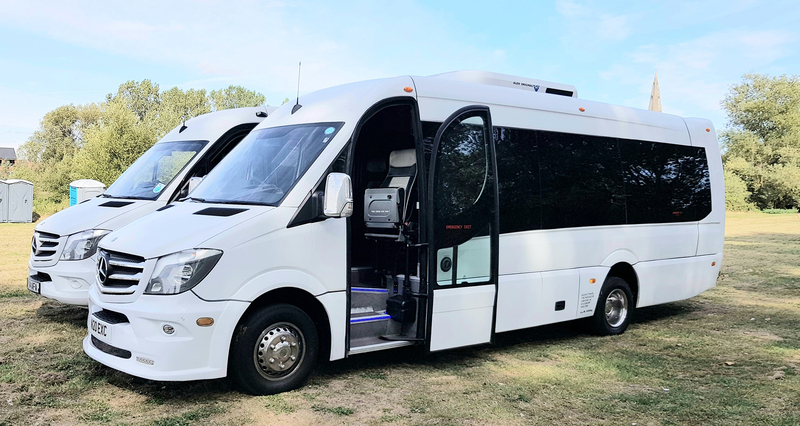 Minibus Hire Thame is the ideal way for you to transport smaller groups of guests to any destination. We offer Executive Taxis, Luxury & Standard Minibus Hire with driver for Thame and surrounding areas. You can hire our Executive Taxi Service, Luxury or standard Minibus Hire 8, 12, 14, 16, 19 & 22 seater at affordable price. We operates throughout Buckinghamshire, Oxfordshire, Bedfordshire and Hertfordshire areas. Our Minibuses & Coaches are ideal for large groups or parties who can all travel together rather than travelling in separate vehicles. Luxury & standard Minibus 8 to 22 Seates.